The Dirt - January 2014 ¡Feliz Año Nuevo! On behalf of the entire Dos Gringos family, I wish all of our clients a happy, healthy, prosperous New Year! We head into 2014 with quite a bit of travel right off the bat. 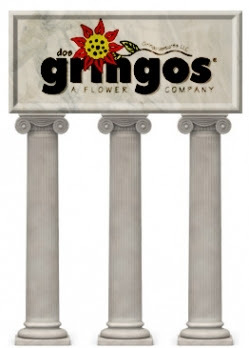 I will spend the first couple weeks of January visiting Dos Gringos East in Miami and meeting with clients. We want to make the most of the new year for every single client; jumping right in to assess and prioritize will help. Our annual client survey is a great tool for gathering direct feedback about the Dos Gringos experience and how we can make it great. Thank you in advance for taking the time to let us know how our partnership is working for you. If you’ve never weighed in before, I encourage you to let us have it so we can continue all the initiatives that are working for you and address the gaps. Last year’s survey revealed that having consistent sunflower production 52 weeks of the year and expansion in the east were important projects. We worked hard on this all year and were hitting our stride before a brief setback in October. Winter/fall crop expansion – having more to offer in both product and quantity -- remains a focus for us, and our intention is to end 2014 with the ability to grow Sunflowers in the east 52 weeks of the year. Expansion will not compromise our three strategic pillars: People, Freshness, and Innovation. In fact, as we expand we’ll pay even closer attention to getting these right. On the people side, we’ll open some positions in early 2014 that we hope will alleviate the increasing pressure on Todd Thornton, our Master Grower. Expanding growing operations in east will be a significant challenge. Todd is absolutely up to the task, but we need to provide him the complementary skill set of new and innovate thinking around our localization and east coast expansion. Todd and Mark Young already have some leads and have done some traveling of their own to keep this initiative moving forward. I’m confident we’ll have a new Team Member in this role by the end of first quarter. Freshness will continue to be the goal behind expanding our growing regions and our acreage, and Innovation remains a key piece of everyone’s job description. How do we capture and develop new ideas and create better ways of doing things to benefit the end user? These are the questions we’ll continue to ask across each and every department. 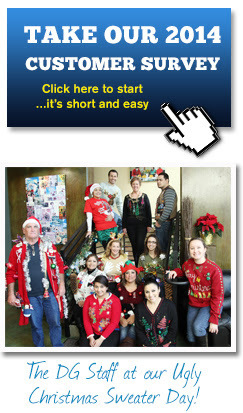 Team Member profiles were a popular element of this newsletter throughout 2013. I’m happy to continue this practice in the New Year, and I know you’ll enjoy meeting Lina Sifuentes. 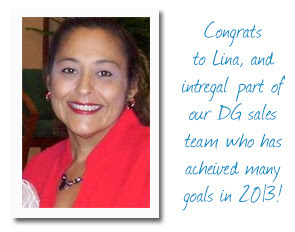 Lina has been an integral part of our Sales Support Team for nine years. She’s a strong client advocate and a great team player. In 2013 she became a wellness success story when she made a commitment to improve her health and to take advantage of Circuit Training classes offered twice a week at our headquarters in Vista. Congratulations and keep up the great work, Lina! I lost 140 pounds. I made a commitment to improve my health, and I did. That feels good. The DG offices include a very nice gym with lots of equipment and weights provided by the company. I was recovering from a late-2012 surgery, and it struck me that getting in better physical shape would help speed my recovery. It absolutely did. What improvements were made to DG’s Wellness Program in 2013? We started offering Circuit Training classes. Twice a week, Tuesday and Thursday, Team Members can spend an hour moving from station to station and getting real-time tips from a personal trainer. It makes a huge difference to spend 120 minutes a week on physical fitness because it carries over into other areas of your life. I’m walking a lot more now on my own time, and I try to think of other ways to complement what I’m doing at work. A group of people are looking into training for a marathon. 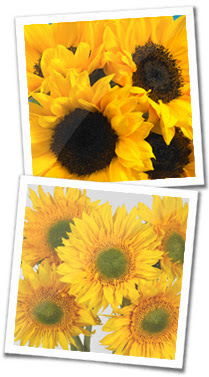 The company supports “Finish Chelsea’s Run” every year with donations 0f money and Sunflowers. We want to develop a team of runners to more actively participate in the future. We’re also looking into activities we can do as a team. A DG softball or basketball team may be coming soon, so watch out! Any advice for other Team Members in 2014? There’s nothing wrong with making a commitment – and taking the time – to feel better. Everyone can benefit from the decision to eat right, live right, and make time for yourself. Don’t get so caught up in daily responsibilities that you forget to care for your body and mind. Lots of companies have Wellness Programs. 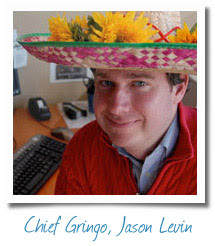 What makes Dos Gringos unique? The people and the environment. Everyone here is so supportive, and Jason is incredibly generous with his resources and his time. He honors his “Open Door” policy; in eight years I’ve never hesitated to approach him with questions or concerns about anything. And he lives what he preaches when it comes to fitness. He uses the gym all the time and is very vocal about wellness. That makes a huge difference to me.